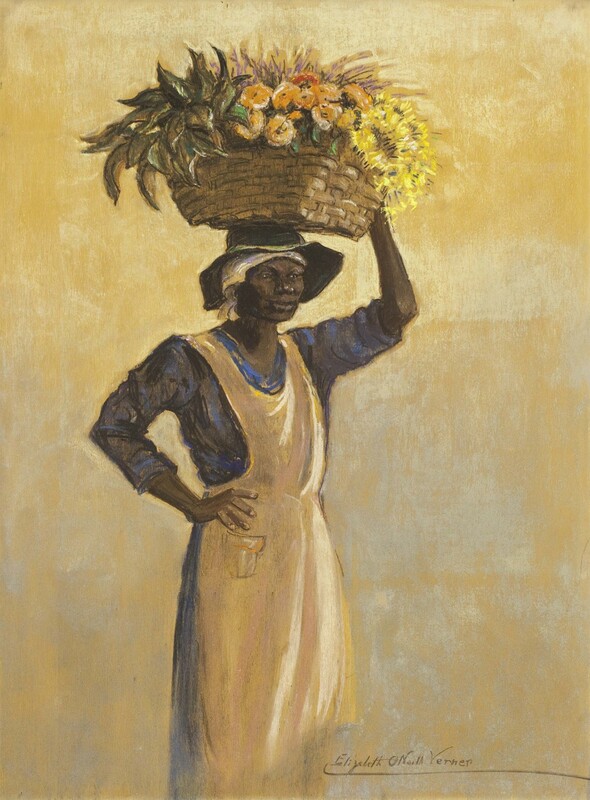 The Verner Gallery was founded in 1924 and has been in continuous operation since that beginning at Elizabeth O'Neill Verner's Studio in the Garden at 3 Atlantic Street, Charleston, South Carolina. The Fine Arts: Painting, Sculpture, Drawing, and Printing are all represented by the Gallery. Currently the Gallery owns the estate of Elizabeth O'Neill Verner and features her pastels, drawings and etchings. The Gallery also proudly showcases fine art paintings and drawings by artist Daphne vom Baur. Over the years there have been many illustrious artists who have shown at the Gallery. Oil painting by Daphne com Baur. Copyright The Verner Gallery. All Rights Reserved.